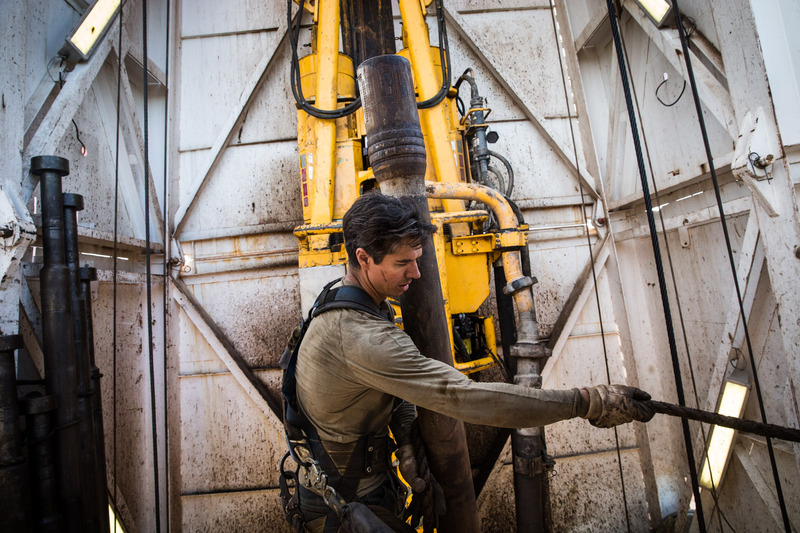 Jeff Allyn, a derrick hand with Raven Drilling, lines up a pipe while drilling for oil in the Bakken shale formation on July 23, 2013 outside Watford City, North Dakota. 'If you're not working out here, there's no excuses. I went to prison for six years - it doesn't matter what your past is,' Allyn said.